Prompted by a comment on my System 100 VCA stripboard post, for as much use as it is here’s a very quick comparison of the original System 100 VCA and a clone System 100M VCA, built on stripboard with a BA662 clone for the OTA. No envelope tweaking, just a bit of VCF variation from CV2 on the MC-4, and then full-gas into whichever VCA. And this is the System 100 played through the clone 100M VCA (set on linear response), using the System 100 envelope as a CV source. 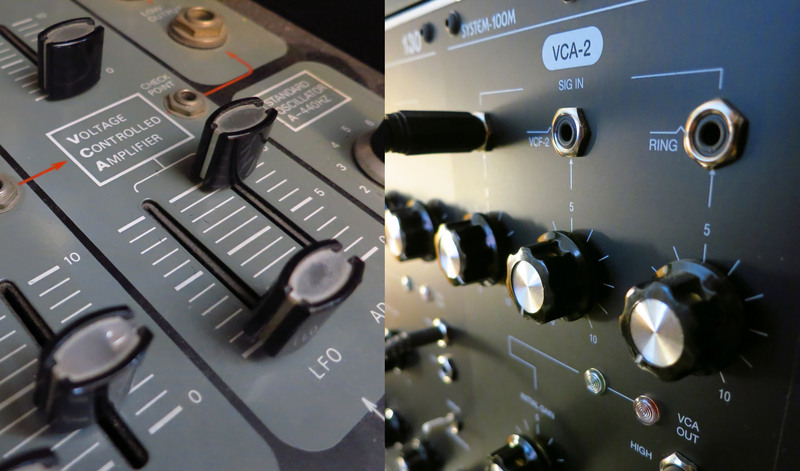 The System 100 has a lower output envelope than the 100M, so the 100M VCA is super-quiet when triggered from the 100 when set to exponential response. Flipping the VCA to linear gives you a usable audio level to play with. That’s too much excitement for now, I’m going for a lie down. 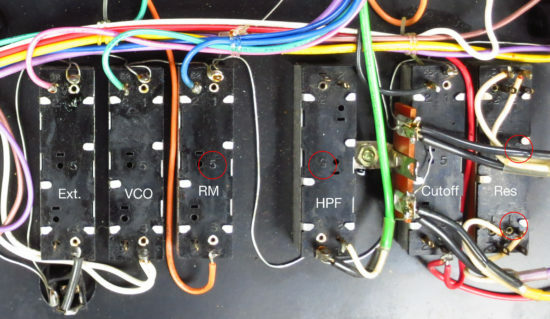 Alright, not much of a mystery, but have been drawing up some new PCBs over Christmas and wanted to check something on the System 100 (not M) VCF – the original schematic specified a dual 100KA for the resonance potentiometer, but I always suspected it suited a reverse audio pot better. Check the orientation of the embossed numbers on the back of the pots, and compare the (upside down) resonance and HPF pots against the right-way up mixer section (RM, VCO and Ext.). 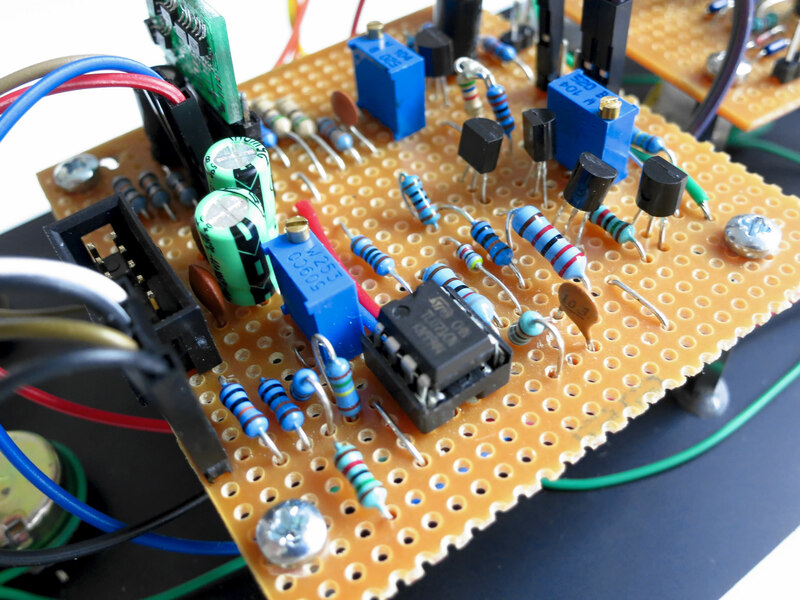 Also planned for the near future are: Audio Delay unit, Stereo Phaser, VCO bank, and other units. …so maybe, 105 Audio Delay, 106 Stereo Phaser and 107 VCO Bank? I could imagine the delay and the phaser being similar circuits to the equivalents in the 700, but I can’t think how they would have been designed to stack up on the System 100 – the top of the 102 isn’t particularly deep. Maybe this was part of the reasoning that led them to design the 100m?